A few days ago we celebrated the optional memorial of St. John of God. Our pastor gave a marvelous homily that day, which inspired this post. One of the key connection points the pastor made was the connection St. John of God had with other Saints with whom I was more familiar. To be quite honest, I knew next to nothing about St. John of God. 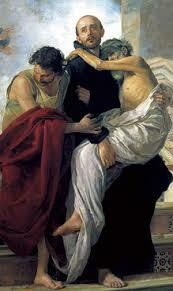 So I began to investigate his life, and what an amazing man of God, St. John of God was! I thought his life–as well as his spiritual connection to other Saints–made this a very appropriate topic for a post during Lent….especially as we approach the end of Lent. St. John of God is best known for his many followers who eventually founded the Hospitallers, a religious institution focused on aiding the sick, suffering, and dying, among other services they now provide. They are still in existence today. What I didn’t know was St. John of God’s late conversion in life. In many ways he was a prodigal of the Church. A baptized Catholic, like virtually all his family and friends, he was a public sinner, who sinned in countless ways. He wasn’t just known for one particular sin, but many. He was a soldier, but was particularly known for leading a life best described as completely “wild.” He was around 40 years old, or so, when he had his conversion. He found mercy rather late in life. A dear friend of mine, and colleague at Seton Hall University, John Coverdale, has just published a wonderful book on the life of Alvaro del Portillo, who will be beatified this September, 2014. Coverdale got to know del Portillo while they were both living in Rome just before, during, and just after, the Second Vatican Council, in the 1960s. 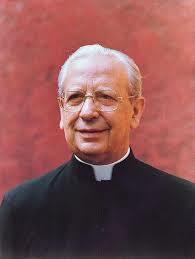 A historian of Spain in the early part of the 20th century, and a biographer of St. Josemaria and also of Fr. Joseph Muzquiz (who was ordained a priest alongside del Portillo), Coverdale (now a law professor) is well placed to write this inspiring biography. For a while now, my three year old son has been telling us that when he grows up he wants to be a superhero. Recently, my five year old daughter asked me if superheroes are real. We spoke a little about how the Saints are the real superheroes. After that conversation it struck me how true that is: the Saints are the real superheroes. Many of the superheroes we know and love from comic books, movies, and t.v., are people like Batman or Superman, who, most of the time, live ordinary lives without performing the superhero actions their hidden life selves are known for. They tend to dress, work, and speak as would anyone else in their specific state in life, in their line of work, in their economic status, etc. Unbeknownst to their neighbors and friends, they possess superhero abilities. Today is the Feast of St. André of Montreal, who is known more widely as Bro. André Bessette, C.S.C. St. André was a brother in the Congregation of the Holy Cross, the same religious order that runs the University of Notre Dame. As we approach the end of the Christmas season, I thought I would write a few reflections on this great Saint. First, a little biographical information. André Bessette was born Alfred Bessette in Quebec Canada in 1845, not far from Montreal. His father was a carpenter, like Jesus and Jesus’ father St. Joseph. He had 12 brothers and sisters. When he was nine, his father died in an accident, and he had already lost three siblings who died as infants (a fourth would also die as an infant). Bessette was twelve when his mother died of tuberculosis. These tragic and severe sufferings early in life are alluded to in Pope Benedict XVI’s homily at Bessette’s canonization in 2010. I want to begin with a personal anecdote that is not directly related to Fatima. In the academic year of 1996-1997 a junior at Miami University in Oxford, Ohio was running for student president, thinking that he would be able to have the most impact for good on campus by exercising that position his senior year. As a prominent member of the student senate he played a prominent and very public (both on national radio and outside of the U.S.) role in a number of significant changes that took place on campus. Notwithstanding his valiant efforts, he lost the presidential race. Unsure what to do, he turned to an older friend and mentor, and decided to become an R.A. in a dorm and lead a Bible study for freshmen in the dorm. This incoming senior would-be R.A. and Bible study leader, was a student leader in a very large para-church (primarily evangelical Protestant Christian) organization on campus, which, at least for the following two years (if I’m not mistaken), represented the largest para-church organization on any college campus in the world at that time, boasting about 1,000 members at their weekly meeting. His mentor, who happened to be Roman Catholic, was a staff member with that organization (at one point full-time, but by this point, part-time on a volunteer basis). That summer they decided to fast and pray for the future Bible study which together they would co-lead. They studied Scripture and church history together that summer, and they prayed and fasted that the future study would bear fruit for the kingdom of God. According to Saint Claude la Colombiére, S.J. Saint Claude la Colombiére is a 17th century Jesuit saint. It is unfortunate that there are not more of his writings in English translation, yet. 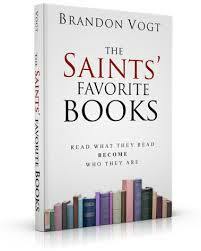 However, of what we have, a small book of excerpts, there is a great deal of spiritual wisdom and depth to be found. In this post, I would like to highlight and briefly examine a few of the beautiful passages of such a reverent and intelligent servant. [Prayer] is the only means of purifying us, of uniting us to God, and of allowing God to unite himself to us and be glorified in us. We must pray to obtain the apostolic virtues; pray that we may use them to help others, and pray also that we may not lose them while serving others. In the Second Reading of the Divine Office for the Fourth Sunday of Easter, the excerpt is from a homily on the Gospels by Pope Saint Gregory the Great. It is a beautiful passage about love, coming to know Jesus Christ, and eschatological joy. The aim of this post is to focus primarily on Gregory’s emphasis on love as read in this selection from the Liturgy of the Hours. The primary Gospel message that Gregory is preaching on is Christ the Good Shepherd (Jn 10). He is speaking to encourage the flock to truly be flock, and by that he means true followers of the Heavenly Shepherd: “Ask yourselves whether you belong to his flock, whether you know him, whether the light of his truth shines in your minds. I assure you that it is not by faith that you will come to know him, but by love”. To be a sheep of the Good Shepherd is if to, not surprisingly, follow Him—and this requires love. In the Catholic Church, Masses are celebrated every day of the year (except Good Friday when only Communion Services are held), and from the Lectionary, Bible passages are read, on a liturgical cycle, every day at these liturgical celebrations [the readings for the day may be found here. My wife and I used to be members of an adult education group at our old parish in Dayton, Ohio, which hosts short reflections on each of the day’s readings [available here]. My wife and I each still usually write two reflections a week for their website. I try to provide points of application at the end of my reflections. Often, I’ve had people come up to me and ask how we lay people are supposed to put some of these applications into practice: how are we to pray continually? How are we to share our faith? How can we devote our lives to serving others day-to-day? I’ve often encountered objections like the following: sure, I could pray continually if I were a monk or nun in a monastery. Sure, I could share my faith with others if I were a full-time missionary, like a religious brother or sister in some foreign country. Sure, I could devote my life to service if I were a Franciscan. But what about those of us who stay at home all day with children? What about those of us who work long hours in our various occupations, with computers or in manual labor or in other professions?